A) 8x6mm Faceted Blue Topaz & Diamante Gold Ring, size 9. ..... $8 Sorry! SOLD!!! 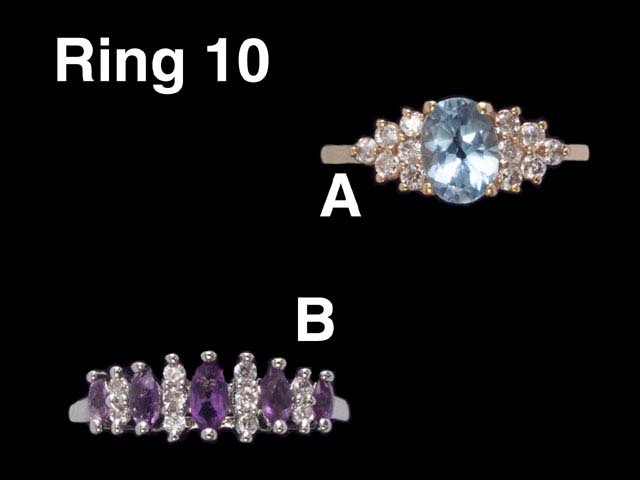 B) Amethyst & Diamante Silver Ring, size 9. ..... $8 Sorry! SOLD!! !